I just got some watsapp messages that Hazar Imam is visiting Tanzania from 10-13 October 2017 and would work grant Didar. Please can anyone confirm the truth or reality of this new? October 5th - 13th: Africa Visit - H.H. The Aga Khan will visit East Africa for official work and for meeting his community in Kampala and Dar es Salaam on the occasion of his Diamond Jubilee. These are tentative dates, not confirmed dates. Those who intend to travel to East Africa, remember that thin plastic bags are illegal and passengers arriving in some airports such as Nairobi face stiff fines up to a thousand dollars it these are found in their luggage. You should only have thick recyclable and reusable bags in your luggage. Even some of the bags you receive in Duty Free at the airports are banned. 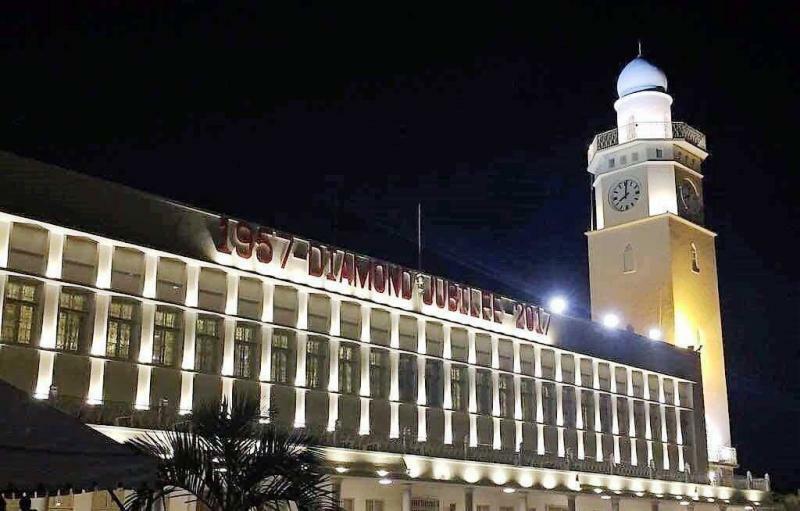 2017, October 12 Dar es Salaam Diamond Jubilee Darbar subsequent to Kampala Darbar. October 12 is also the Birthday of Prince Rahim. Lets hope the Jamat asks the Imam to cut the cake in this honour if not in honour of Diamond Jubilee. I desired to visit Tanzania but with restrictions placed infor overseas jamat.So planned to go to Bali,Indonesia .which again has concern for volcano eruption. I assume in spirit our Diamond jubilee slogan of ONE JAMAT. I hope that both durbar of Kampala and Dar es salam with visit highlight should be shown later on video to world jamat ( within 7-10 days after the event).this viewing to be celebrated by all jamat or the world with local sherbet,snacks and garba. So every jubilee is equally celebrated,and those fortunate who saved money on travel should be more generous in charity. This is my sincere wish as well. The only which could be open for the overseas Ismaili to see the Seat of IMAMAT that would be Lisbon Portugal. So let all 20 million Ismaili celebrate each jubilee visit and not around 5000++ zahiri didaar seeking murids. On all forthcoming jubilee darbars,A couplet in lighter vien. HOOVE ALI KO KAYNAAT KA RAAJ MUBARAK HOOVE. MOMINO KO SAMOSA,BIRYANI,SHERBET,JALSA AUR KHUB JALSA MUBARAK HOOVE. Our father smiles upon us graciously.We as his children could have an obligation to make him laugh sometimes. Qavi, mai(n) terey ku bola shairi me wazan paida kar. Dekh teri second line seedhi Uganda ja rahi hai samosa khaney. They know that their wish is not the wish of the Jamats or Hazar Imam. They represent the Jamat and must respect all murids . Watch the following interview of an Ismaili who was blocked in Singapore in 2012. All murids especially all Ismaili volunteers should watch this, and do as Imam says, does, and would do. All murids must welcome all murids, like they do when they come to any JK. Would Leaders block Murids from going to pray in any JK globally ? They know that going for Deedar is one of the most important prayer and part of our faith, if not the most. All Leaders Nationally & in Aiglemont should reconsider & change. Murids and Ismaili volunteers should respect & allow all murids who come & be respectful, companionate and brotherly towards them. Many Murids will be sharing videos on the day. And Media are watching us as a community. Enjoy - more Video clips and pictures of this event (last weekend). Links below. ALI KI MUSKAAN ,HAZARO NYAMAT BARASTI HAI. PHIR TO USKI DIL SE HAASI,BARSENGE LAKHO NYAMATEEE. WE WERE, ARE & WILL NEVER EVER BE DUKHI ATMAS/souls. I do not think this October restriction place could be lifted. It would late by then.WHO rules requires for re entry into home countries ,the person should have taken yellow fever shots 15 DAYS before that date. What you mentioned is wishful thinking.Hope something comes out of it. If 10000 Ismailis save appx $ 1500 per trip that comes US$ 15 million ,if that used for helping our brothers/sisters in need in Syria,Afghanistan, and others. Many Ismailis travel and have their vaccinations. Countries like Tanzania and others require Yellow Fever vaccination, no doubt. However to compare the value of a didar with amounts of money is utter nonsense. There are many things one can do in life to save money or help people which Ismailis do very generously. Cutting on Didars is not an option. You do not measure the value of Light in a Soul with money in a pocket. Furthermore, there is no need to create controversies on each available occasion. This thread is for informing people about the forthcoming Didars and the program surrounding these Didars. HI, I am from Burundi, i just wanted to ask one thing. Should the jamat of Burundi is allowed to attend the deedar in Uganda or not? If not, then if somebody is not affordable to visit Tanzania or Kenya to see maula bapa then what they should do? Waiting for your prompt response. Its darbar (for multiple jamat). And bapa never refuse for this . Please reply ASAP the query. Everyone is waiting for deedar. Looking at smiling face of Imam ber haqq makes a murid shaad and aabaad. On one side is Imam and on other are millions, the momin will go for didaar of Imam. His Highness Aga Khan will visit the country next week following invitation extended by President John Magufuli. Dar es Salaam. 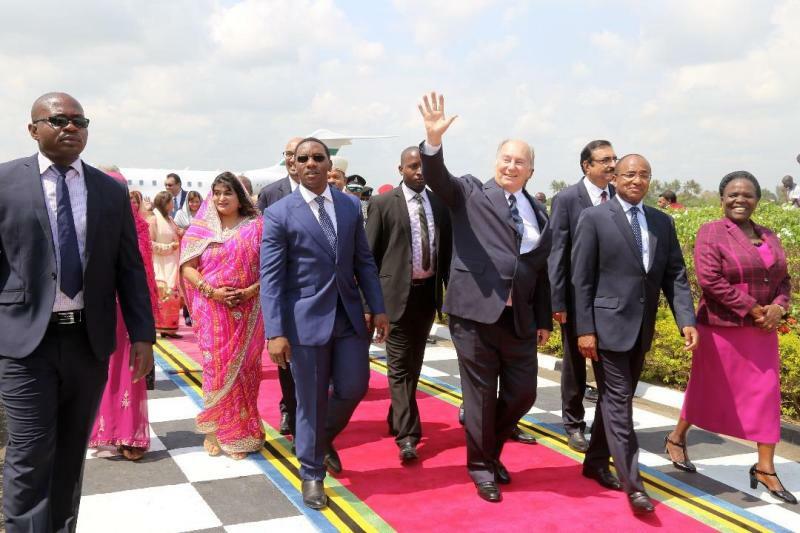 The Aga Khan Council said the visit of his Highness the Aga Khan to Tanzania, scheduled for October 11-12, will open opportunities to various sectors and boost the country’s economy. Addressing a press conference on Friday October 6, member of the Aga Khan Council responsible for communication Shelmina Shivji said the purpose of the visit was to reaffirm commitment of the Aga Khan Development Network (AKDN) to Tanzanians. "The majority of Tanzanians have benefited with development projects undertaken by foundations operating under the Highness, therefore, we call upon Dar es Salaam residents to appear at Julius Nyerere International Airport during his arrival,” she said. She said his visit to East Africa, will commerce on October 9, by visiting Uganda following invitation made by Yoweriu Mseveni before arriving to Tanzania. For her part, Aga Khan Hospital Director of Nursing Lucy Hwai said the hospital had embarked on a Sh176 billion significant expansion that would boost its capacity and become a premier teaching and provider of tertiary health care education in the country. The expansion, expected to be completed by mid-2018, will enhance cardiology, oncology, neuroscience, critical care and obstructs and gynaecology programmes. Ms Hwai added that the expansion would provide 100 additional beds and six new operating theatres along with advance diagnostic facilities, which would also allow expansion of education programmes. "We are happy for his historical visit of his Highness Aga Khan and hope he will inspect the expansion project," she said. Also as part of expansion, 20 additional outreach health facilities will be established by 2020 across the country. Meanwhile, Aga Khan Foundation Director Revealed Kataru said the facility was implementing other various projects in health, education, finance and agriculture. She said 1,844 residents in Lindi and Mtwara had benefited from loans provided to small sized entrepreneurs to enable them open and strengthen their businesses with 66 per cent being women. Ms Kataru said the foundation intended to improve incomes of poor families in efforts to eradicate poverty. On a separate note, if it is really for locals there are some very influential and wealthy individuals who are currently at the serena and interestingly these are from the UK and Tanzania with nothing to do with the Board but very much invited for darbar. how does this happen? Ugandan Jamati residents that have not yet registered are advised to go to the National Council office. Jamati members will be required to show their Passports and any other neccessary documentaion. Registration is for Ugandan Jamati member ONLY. Entry to Darbar will not be permitted without the registration and Darbar Entrance card. drop off allowed at Darkhana. Jamati member will NOT be allowed to enter Jamatkhana compound on foot. Jamati member will not be allowed to board the shuttle bus without their entry card. "you can have also our Didar when you see us on the road or in the car." "We bestow upon you Jamats many many blessings. Seeing you has made us very happy. Today in the New Year's day that is, on the festival of Idd-e-Navroz we grant/offer you many many Mubarakis. While we are here nobody should leave their business or employment. Every employee should leave for their employment immediately after the Didar. The employers should not get the impression that due to our visit, the employees are absent from work. Do not ever act in a manner which displeases the employers. For the sake of Didar, not to go to business or employment is very inappropriate. We are very unhappy about it. You can have our Didar on the streets or in your cars..."
Dear Admin and kmaherali thank you very much for posting and sharing that Firman - may you be blessed for all your efforts. we will try to follow that and to get a glimpse in open public spaces it is unfortunate that previous UK president who is now AKDN diplomat in Uganda always harped on publicly about EK JAMAAT this behaviour by powers that be of prohibiting anyone who is already in the country for whatever reason be it work, meetings;or otherwise just shows how far we really are from being "One Jamaat" - shame on them all - as per Glorious Quran this life is a test of the hereafter - they will have to answer for their actions Uganda Darkhana Jamatkhana (Martin Road) volunteer corps need to also learn lessons in humility, politeness, etiquette and brotherhood- you have to have witnessed this evening how rude they really were in shouting and trying to stop people from even going to Jamatkhana to worship - unbelievable- and to call themselves Ismaili is a real farce when Imam says we are all brothers and sisters - is this how the very first Diamond Jubilee Darbar is going to be remembered? is this how the very first Diamond Jubilee Darbar is going to be remembered? Actualy Hazar Imam has made clear that he wanted the kind of grand public ceremony which his grandfather, Mowlana Sultan Muhammad Shah had for his Jubilees. He said it is an Ismaili custom and it should be definitely carried on. In that we have completely failed to respect the wish of our Imam and to respect the Ismaili Customs. As I feel number of jamat is small in Uganda ,but the crowd seen outside the airport on both sides of the street looks like fair percentage of snooty/ziddi Kenyan jamat were there to to see MHI ,something is better than nothing. They did get blessed by his sight/deedar. Baap KA laad aur pyaar , kabhi kabhi bachee ko ziddi bana sakta HAI. SO LETS CHEER FOR THE FIRST JUBILEE DARBAR AND DOZEN MORE TO GO. Samosa,biryani,sherbet ,JALSA aur khub JALSA. The globe trotters such as yourself should show respect. I'm sure you are the one who is rude. The American & Canadian Jamat is known to demand things at such event. Have you considered volunteering instead of complaining? Have you contributed to the local cost to host the darbaar including security, food, etc. costs? Have you contributed to the local cost to host the Darbar including security, food, etc. costs? I personally know many Canadians who not only volunteers during these Didars but also contribute large amount in $$$$ to help these occasions be successful. I would suggest that if Zaheri Didar is less important for you than the directives of Sachedina and his various followers of which you seems to be part, you should refrain from saying "Ameen" when Dua is asked in Jamatkhana for Zaheri and Batini Didar. At some point in your life you will have to decide if your allegiance is to the Imam or to his Leadership and particularly the one called "Mungu Dogo" in East Africa, especially when the leaderships goes against everything our Imam stands for. To remind you Mowlana Sultan Muhammad Shah said if leaders do not follow the Constitution, the Jamat should not follow them. Not to mention countless Farmans where Jamat is commanded to ask accountability and answerability from the leaders appointed by the Imam. 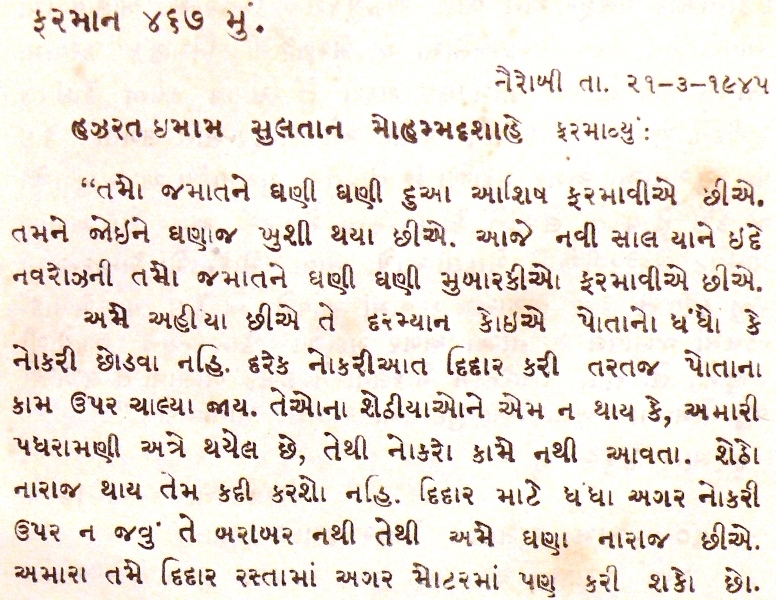 This section is for putting information, I request all of you not to try to create useless controversies here. Dressed in their best Khushiali outfits, the Dar es Salaam Jamat seniors gathered at Jubilee Towers for a celebratory lunch in anticipation of Mawlana Hazar Imam’s visit to Tanzania. The Ismaili Leaders’ International Forum announced the confirmation of Mawlana Hazar Imam’s visit in late-September, at the official invitation of the Governments of Uganda and Tanzania, that he will visit both countries in October. President and Vice President of the National Council for Tanzania, Amin Lakhani and Kamal Khimji, and Mukhisaheb Imtiaz Haji were the guests of honour for the luncheon, accompanied by the Chairman for Social Welfare Board and committee board members. President Lakhani addressed the seniors during the gathering about the upcoming visit and encouraged them to prepare themselves for the momentous visit. Some of the seniors expressed their happiness and eagerness for the visit as they enjoyed the lunch along with live music. Gulzar Shariff felt nostalgic as she recalled the Diamond Jubilee of Sultan Mohammed Shah with her family when she was a young girl. She said, “We came from Zanzibar on the ship [to Dar es Salaam] and we went straight to Upanga Khane, where there were separate tents for men and women. That’s where the showcase [Taqt-Nasheen] took place." 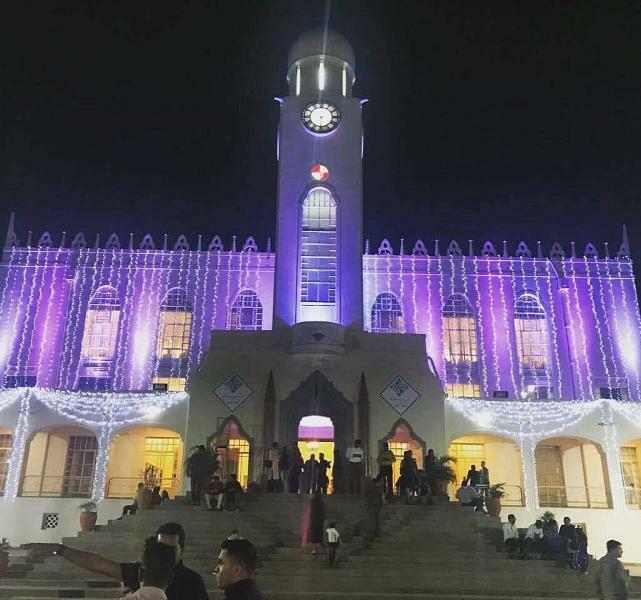 The event was part of a larger celebration for Mawlana Hazar Imam’s Diamond Jubilee year as the 49th hereditary Imam of the world’s Shia Ismaili Muslims with the theme of “One Jamat” in mind.